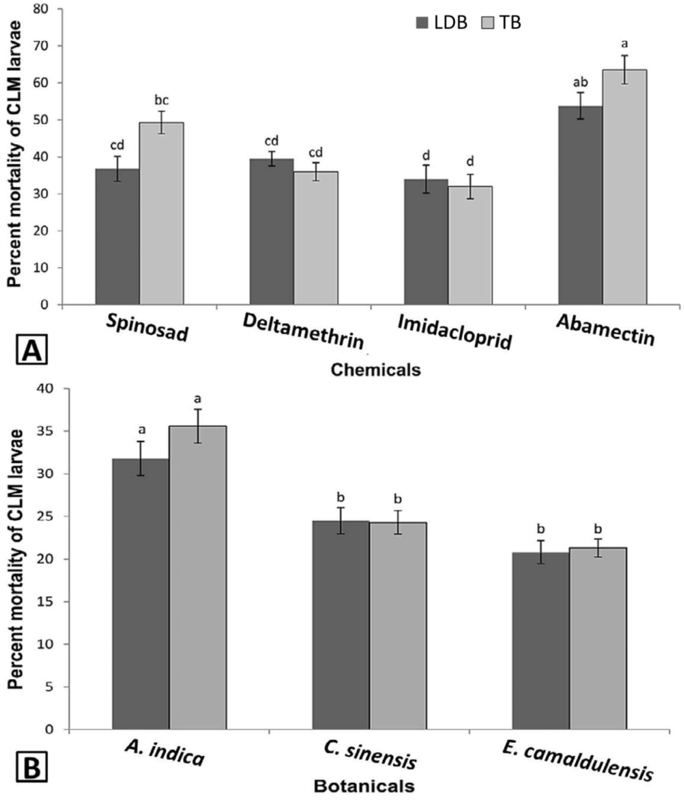 Percent mortality (Means±SE) of CLM larvae after application of different synthetic insecticides (A) and botanicals (B) by using two bioassay techniques. For A, means sharing similar letters for each bioassay are not significantly different from each-others, Significance rate (F=3.11, P<0.05), For B, significant rate (F=1.26, P>0.05). LDB, leaf dip bioassay; TB, topical bioassay. 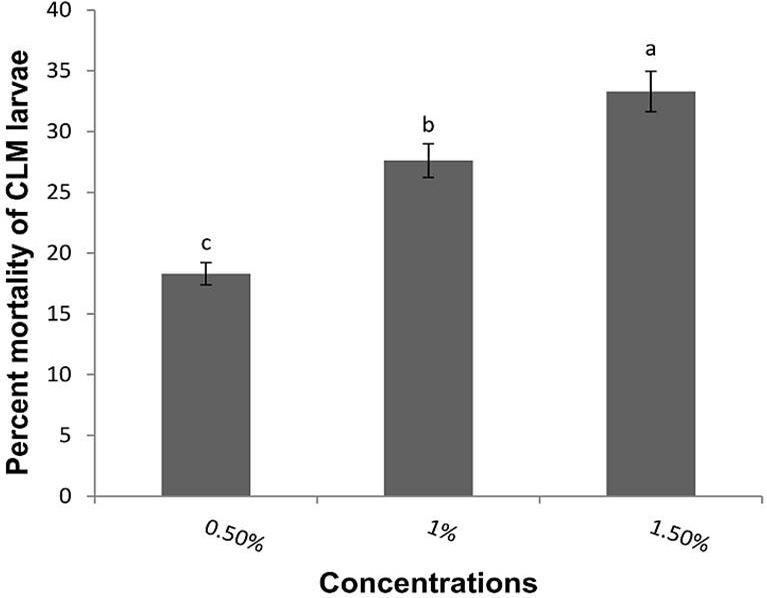 Percent mortality (Means±SE) of CLM larvae after application of different concentration of botanicals, Significant effect of concentration (F=60.59, P<0.001) was observed. LDB, leaf dip bioassay; TB, topical bioassay.